We are living in the Most advanced technology of connectivity, and that means more things than ever before are right at your fingertips. With one press of the icon, one swipe left or right, you can open up new worlds in nanoseconds. We’re talking about apps, those little icons or buttons on your mobile device.But at web advisor, we don’t just talk about apps; we live and breathe apps. We have assembled a team of the best and brightest minds in software development and leadership, giving our clients access to the most diamond cutting-edge technology. 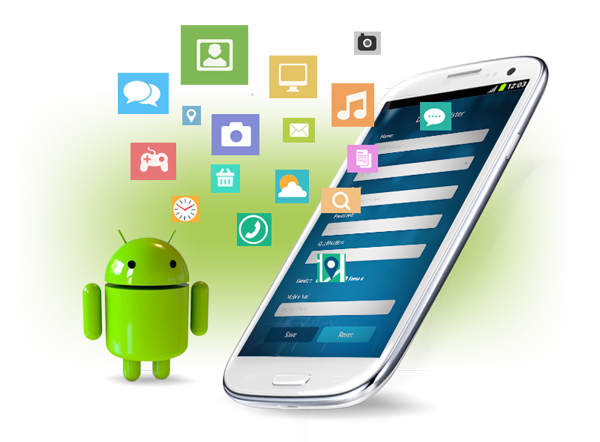 You can relief with some tortures and we assured you’re in good hands, as we have many years of experience in both Android And IOS App Development. Mobile app development is serious Work and its faith. It takes time and patience to create something that works for you and is free of bugs and other issues. Updates are required, but it’s important to begin with a sound base. At web advisor, we believe in a thorough proposes that provides our clients with as much engagement as they request. While our entire team will be developing your app, we will assign and design a project lead who will be your main point of contact. A large part of the work web advisor does is behind the scenes. There will be times when we don’t communicate with clients for weeks, but that’s only because we’re intimately involved in the development phase. However, before any of that begins, we need to make a checklist of everything you want in your new mobile app. We will gather information about your company and concepts, how it works. We will figure out who your customers are and how we can attract more through your new app. Audience engagement, research, and branding are key in app development, and we will conduct focus groups to find out why people choose. A custom Android App can do wonderful for your brand, whether you’re using it for productivity or as a way to facilitate things like loyalty or rewards programs. web advisor is extremely experienced in building a wide array of social apps, productivity apps, games, and ecommerce apps for brands around the world. Our focus on effective design, diamond cutting-edge technology, and cost-effectiveness throughout our development process makes us a great choice for brands looking to leverage mobile artful technology.